Nepal's first National Park is situated 162 km south of Kathmandu is known as Chitwan National park in the lowlands of the inner Terai. It covers an area of 932 sq. km. The park includes hilly areas covered by deciduous Sal forest. One fifth of the park is made up of the floodplains of Narayani, Rapti, it's covered by dense tall elephant grass interspersed with reverie forests of silk cotton trees. This ecologically diverse area is a haven for some of animal species and exotic bird. 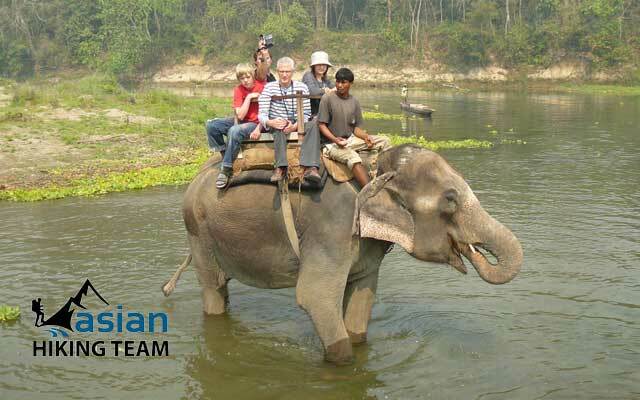 Chitwan National park is one of the Natural World Heritage Sites. Sauraha is known as a natural get way to Chitwan National park. 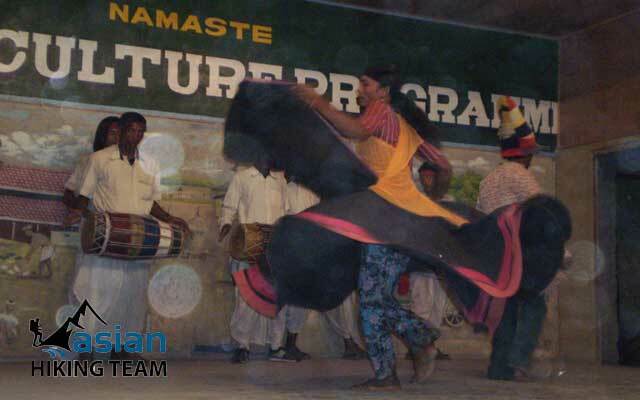 Chitwan is also known as cultural diversity of ethnic Tharu people. The Chitwan consists of tropical and subtropical forests. Sal forests cover 70 percent of the park. Sal leaves are used locally for making plates for festivals and religious offerings. Grasslands cover 20 percent of the park. There are more than 50 different types of grasses, including the elephant grass (Saccharum spp), renowned for its immense height. It can grow up to 8m in height. Chitwan park is home to more than 50 mammal species, over 525 birds, and 55 amphibians and reptiles. The endangered fauna found in the park are: One-horned rhinoceros, gaur. Royal Bengal tiger, wild elephant, four-horned antelope, and pangolin among the mammals; golden monitor lizard, crocodiles, and python among the amphibians; and Bengal florican. lesser florican, giant hornbill, black stork, white stork among the birds. Elephant safari provides opportunity to get a closer view of the endangered one-horned rhinoceros. One may also get a glimpse of the elusive Bengal tiger. The Elephant Breeding Center at Khorsor, Sauraha gives you information on captive elephant and the calves born there. The museum at Kasara, the park headquarters, has informative displays- Near the HQ visitors can see Bikram Baba, a Hindu religious site of archival value. A short walk (1km) from the park HQ will take you to the Gharial Breeding Center, which is also home to the Marsh mugger and number of turtles. Inside the park, there are 7 resorts run by park concessionaires that can provide lodging and access to wildlife activities. Asian Hiking Team make Chitwan Jungle safari a package trip for you as desire time frame that included everything from your sleeping arrangements to meals to days’ full of activity as well as we display up to your awareness. Access: The park headquarters at Kasara is a 21-km drive from Bharatpur which is 20 minutes by air or 146 km by road from KTM. Day 01: Drive from Pokhara or Kathmandu 5 hours (Or flight to Bharatpur from Kathmandu and one hour drive by Jeep). Arrival in Chitwan, Transfer to Hotel, welcome drinks, briefing by jungle guide, Lunch and Tharu Village visit, Museum and sun set tour, Dinner (L/D/B). Day 02: Wake up call, breakfast, Elephant Back Safari, Elephant bath, Lunch, Canoeing trip, Jungle walking, Elephant breeding center visit, evening walk, dinner and Tharu stick Cultural dance (BB/L/D). Day 03: Wake up Call, bird watching, breaks fast and departure to Kathmandu or Pokhara or Lumbini (B). Day 01: Drive from Pokhara or Kathmandu 5 hours (Or flight to Bharatpur from Kathmandu and one hour drive by Jeep). 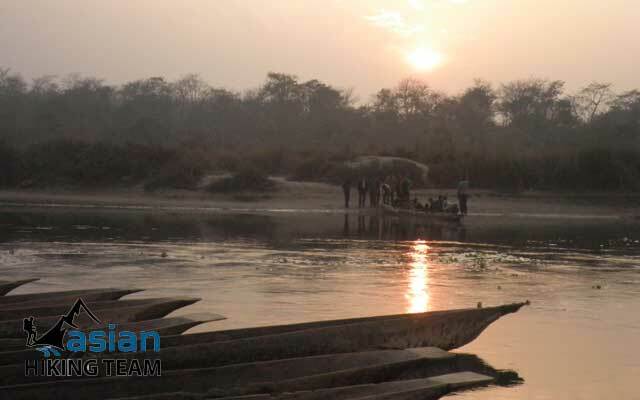 Arrival in Chitwan, Transfer to Hotel, Welcome drinks, briefing by jungle guide, Lunch, and Elephant Back Safari, Cannoning, Elephant bedding center visit, Dinner and Tharu Cultural show (L/D/B). Day 02: Wake up Call, bird watching tour, breaks fast and departure to Kathmandu or Pokhara or Lumbini (B). Day 02: Wake up call, breakfast, Elephant Back Safari, Elephant bath, Lunch, Canoeing trip, Jungle walking, dinner and Tharu stick Cultural dance (BB/L/D). Day 03: Wake up Call, breakfast, Jeep Driving, Lunch, Elephant bedding center visit, souvenir shopping, dinner (BB/L/D). Day 04: Wake up Call, visit bird watching tour, breakfast and departure to Kathmandu or Lumbini or Pokhara, (B). Day 01: Drive from Pokhara or Kathmandu 5 hours (Or flight to Bharatpur from Kathmandu and one hour drive by Jeep). Arrival in Chitwan, Transfer to Hotel, welcome drinks, Lunch, and Tharu Village visit, museum and sun set tour, Dinner (L/D/B). Day 02: Wake up call, breakfast, Jungle walking, Lunch, Jungle Drive (Jeep), Dinner (BB/L/D). 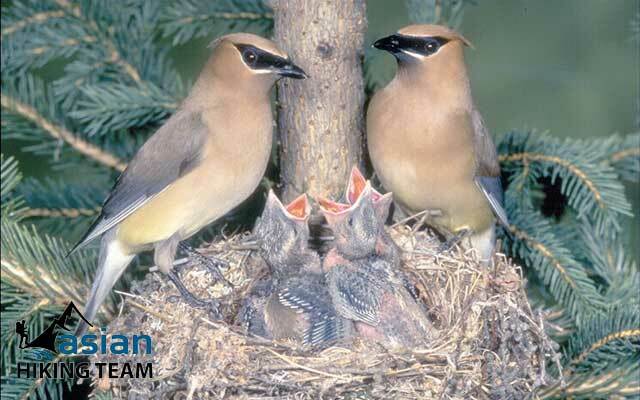 Day 03: Wake up Call, Breakfast, visit with our expert Nature guide to twenty thousand lake, lunch, bird watching, shopping and dinner, (BB/L/D). Day 04: Wake up Call, Breakfast, Canoeing trip, Visit Elephant Breeding Center, Lunch; elephant back safari, evening walk and Tharu stick Cultural dance, dinner (BB/L/D). Day 05: Wake up Call, visit bird watching, breakfast and departure to Lumbini or Pokhara or Kathmandu (B). The cost is depending on group size, affected due to the requirement of Hotel in Kathmandu, method of land/air transport. The itinerary is changeable and modifiable as per needs and time frame of travelers. Cost will be re calculated if the itinerary is changed or modified. Additional activities may be added as per travelers request with appropriate additional cost. For Total Tour cost EMAIL US, we will send you within 24 hours as your requirements. Tourist Bus from Kathmandu to Chitwan and Chitwan to Kathmandu or Pokhara or Lumbini. Accommodation on Twin/Double bedded rooms. All Jungle Activities as per Itinerary. National park/Elephant Breeding Center/museum entrance Permit. Necessary Land Transportation during the programs. Anything not mentioned in the itinerary, etc. Day 01: Drive from Pokhara or Kathmandu 5 hours (Or flight to Bharatpur from Kathmandu and one hour drive by Jeep). Arrival in Chitwan, Transfer to Hotel, welcome drinks, briefing by jungle guide, Lunch and Tharu Village visit, Museum and sun set tour, Dinner (B/L/D).